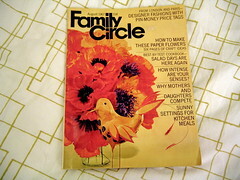 family circle magazine! from 1967. cover’s cheery and yellow… and aren’t we in the thick of birdiness these days? 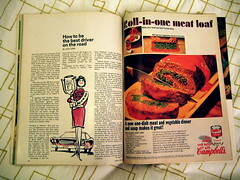 here are some sample spreads, but there are also included recipe cards (!) and those classic comic-strip-type ads in the back pages. the mod brit look sends me swooning every time… vive la mary quant! 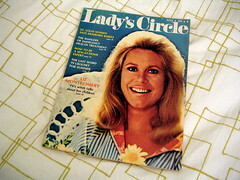 lady’s circle magazine! 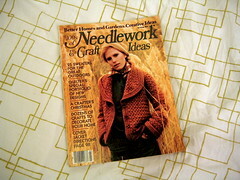 from 1970. is this title out of circulation these days? it’s like the lovechild of ladies home journal and family circle. 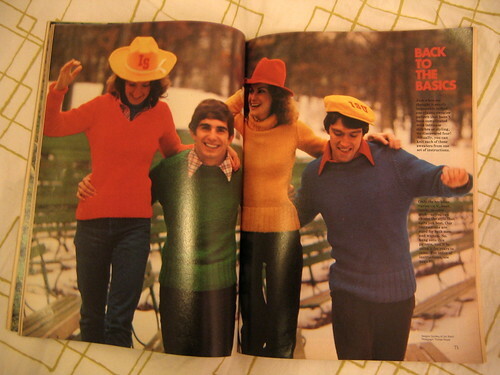 there’s everything from cooking tips to make-your-own-fashions, such as the crochet lovelies above. 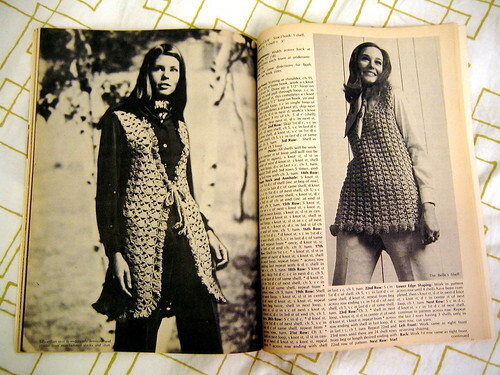 i will be indebted to the first person willing to make that ridiculously textured tunic thingy. i couldn’t pass these up. 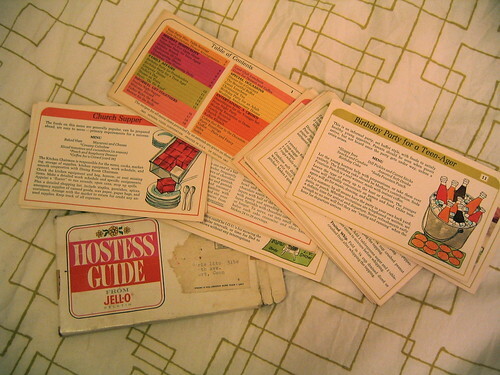 they seem to be a set of tips and recipes that one would ‘send away for’, probably with a couple UPCs cut from jell-o boxes and a SASE. the cards are sturdy and handily numbered, for at-fingertip speed for endless gelatin-related ensembles and delectable ombre-hued drawings of gender-normative families. some of the baking recipes seem quite tasty, with traditional ingredients and homemade honesty. i’ll have to make the chocolate brownies (only with swan’s cake flour!) soon and report back. take that, buttercup bake shop. whoever was selling this stuff (a middle-to-upper-aged man) probably was unleashing the stash of a very crafty person, perhaps a mother or an aunt. oh, oh, save the best for the last! check.it.out. 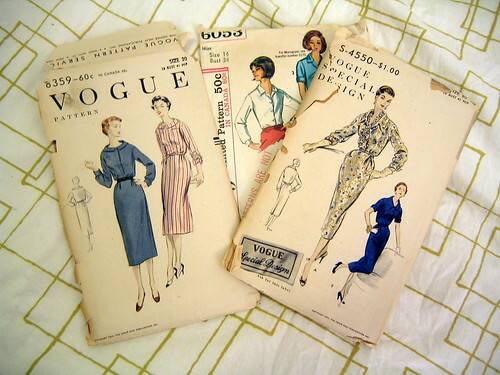 vogue patterns from 1954. they’re immaculate. they’re unused. they’re outrageously authentic. 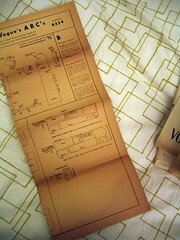 the packaging’s falling apart a bit, but the tissue inside is in mint condition, and there’s even a pamphlet tucked away in there to send off for a subscription to vogue patterns! i love how the price of the pattern is 60 cents, in canada 65 cents. i’m like between this vintage size 14 and 20, but i think with a bit of finagling sticheroo it can be tailored accordingly.